New York (TADIAS) – When we first featured Samuel Gebru in Tadias Magazine a few years ago as the Founder of the Ethiopian American Youth Initiative (EAYI) he was barely 19 years old. Today Samuel, who turns 26 next month, is running for a City Council seat in Cambridge, Massachusetts with elections to be held on Tuesday, November 7th. “As you know I have been politically active for over 13 years,” Samuel reminds us, highlighting that among his many past activities detailed in his campaign bio is that as a high school student he sat for three years as an executive committee member on the Family Policy Council for the city of Cambridge, an official board that’s chaired by the mayor of Cambridge. Samuel was recommending policies on children, youth and families to the City Council and the City Manager, and he was the only youth to ever have a seat on the executive committee. What’s his message to the Tadias readership? 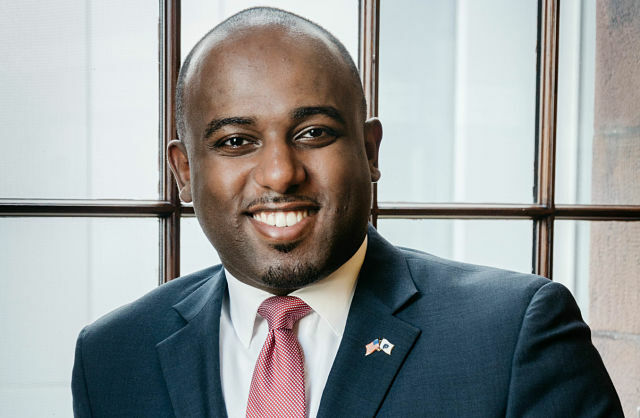 By running for City Council Samuel is blazing a trail for Ethiopian-American youth to be engaged at the local level, and raising important points that we should all be thinking about.